What’s your favorite musical instrument? I grew up playing piano, but for a time I did play violin. The former (despite potential arthritic fingers) I can still manage reasonably well, but latter, alas, I’ve forgotten. I wish I remembered though for the strings are my favorite family and the cello is my favorite instrument. Around 2:20 starts the most beautiful passage of music I’ve ever heard and it’s due to the strings. This is one of the songs that can and will consistently make me cry, but I’ll elaborate on that in another question. This one starts with shivering strings and leaves you in a chill. James Horner is one of my favorite American composers, Nobuo Uematsu (the composer of the first), of course, being my favorite one of all time. What’s your favorite musical instrument or instruments? And do you have a song/songs that best exemplify why you have that love? I think the cello is my favorite. Not only is it a wonderful word (both written and pronounced), it makes beautifully haunting sounds that reach deep into my soul. Wow, I didn’t realize I was so moved by any instrument until I reflected on your question of the week. Yes! I find the strings especially the cello to be the most haunting and the most beautiful; they most mimic the human voice. I would love to learn to play the cello one day, but I haven’t even touched my keyboard on six months, and practice time is paramount to perfect playing (did not plan that alliteration lol). The only “instrument” I can play is a computer keyboard (for writing! ), as I’m not musically talented at all. I dare not even sing in the shower! 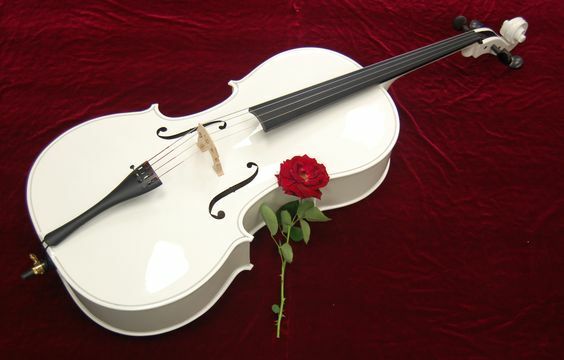 While I can’t play any musical instruments, I learned piano and still really enjoy it, but violin is totally my favorite. I love every instrument in the string family with the flute being my second favorite instrument. Have you heard tin whistle? It’s incredibly popular in Irish music and just adds this beautiful whimsy to pieces. I would probably recognize it if I heard it. I’ve listened to enough Irish pieces. I don’t understand the hatred people have towards bagpipes. If played well and correctly, they’re lovely and melancholy e.g. Amazing Grace. I haven’t actually. I haven’t listened to Flogging Molly really. I’ll have to check them out.